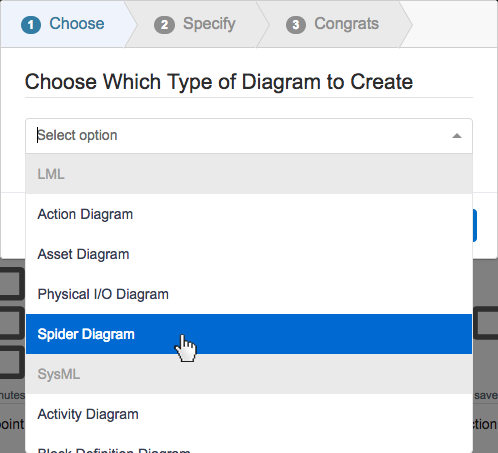 On step 1, select 'Spider Diagram,' under 'LML,' as your diagram type. 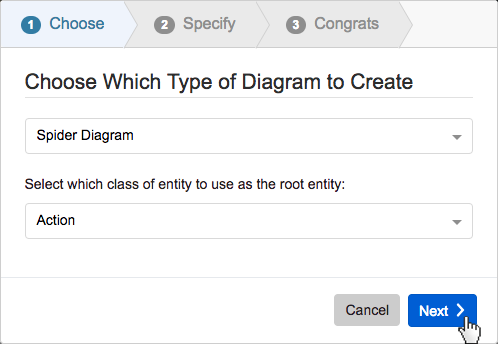 Select which class of entity to use as the root entity. 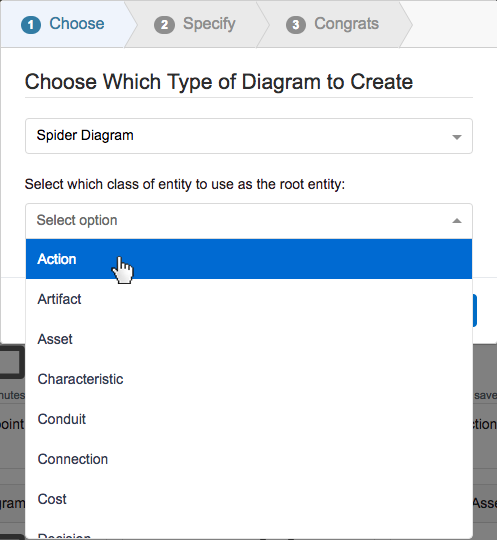 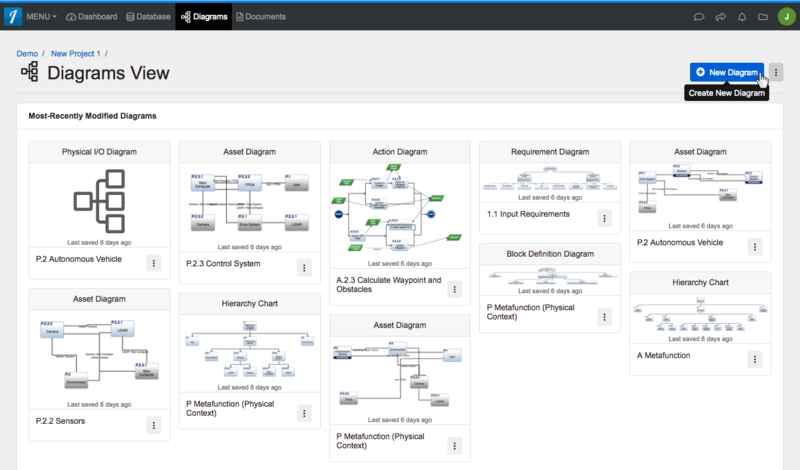 On step three, click the 'Save' button to save and automatically open your new Spider Diagram. 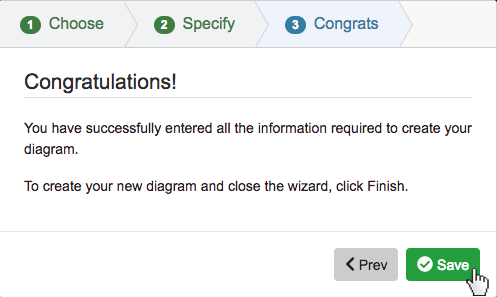 On step 1, select ‘Spider Diagram,’ under ‘LML,’ as your diagram type. 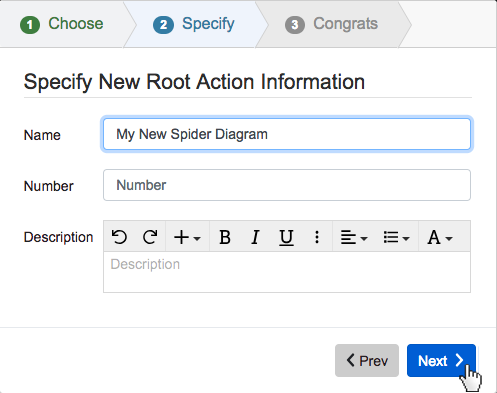 On step three, click the ‘Save’ button to save and automatically open your new Spider Diagram.